This post will be told mostly in pictures, but I’ve been busy mostly working on knitting & crocheting holiday gifts for the family. My goal was not to shop at the mall & give all handmade gifts. I made that goal, but did have to buy a couple gifts online. This year was all about the hat & scarf sets. I made a bunch. The only regret is that I didn’t get an earlier start, so I could enjoy more of the holiday season in peace. 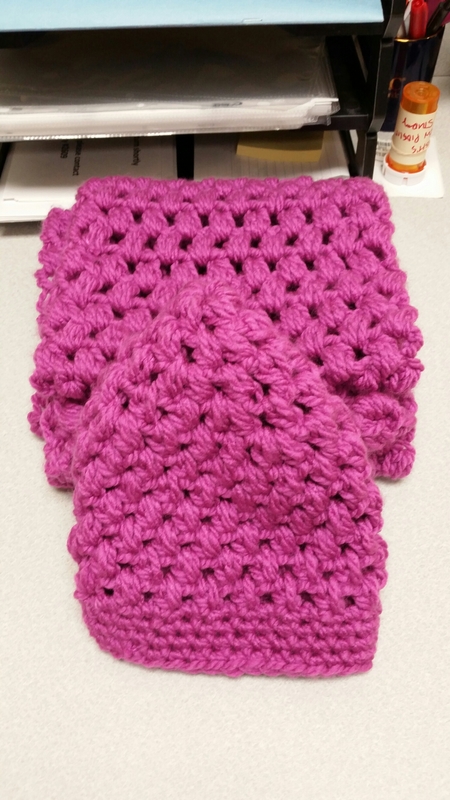 I crocheted this hat & scarf set for my coworker who said she liked pink. It was a quick crochet with puff stitches throughout. The hat turned out to be a little too big but she was able to adjust the size with a brooch pin. This set was made for my sister. The scarf is a knit pattern I found online but couldn’t find an equivalent knit pattern for the hat so I decided to go with the puff stitch hat in matching yarn. These two sets I made for my niece & another sister in their favorite colors. 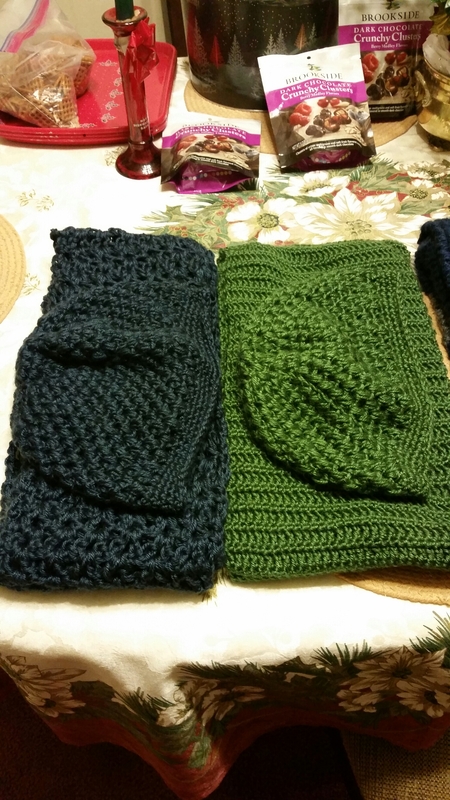 My sister was surprised to get a set in her favorite green color, when I reminded her she not so subtly hinted she wanted me to make her a hat & scarf. The blue scarf is a crochet pattern I found online, the green I randomly made up by alternating rows of single & double crochet stitch. 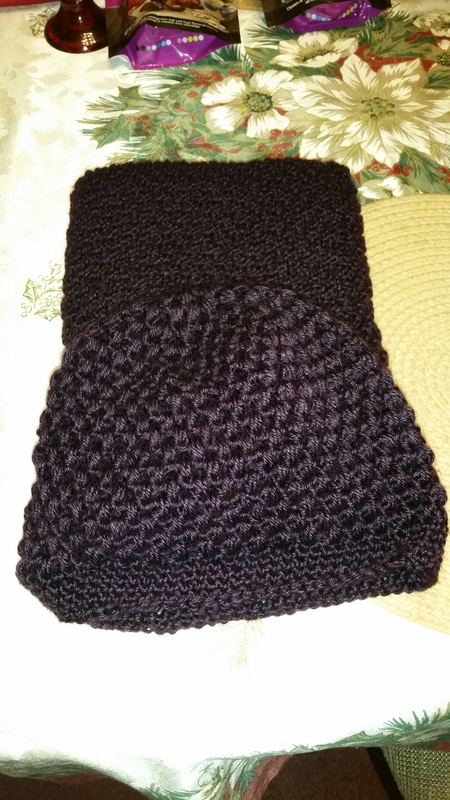 I made puff stitch hats for both because I was getting short on time. 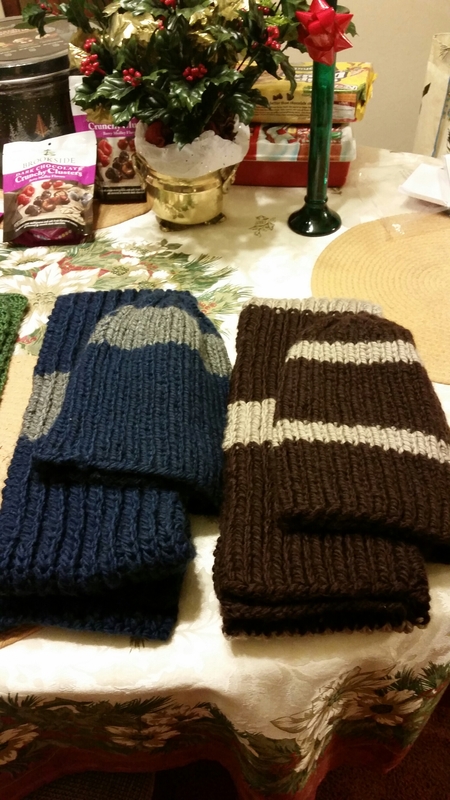 For my nephew & brother in law, I knitter their hats & scarves in fisherman’s rib. My nephew works for the MTA so I used the gray & blue colors to match the uniforms he has to wear to work. The brown & beige for my brother in law were just randomly chosen as nice colors for a man’s garment from the selection at Michael’s, lol. Finished another scarf yesterday as well but will add that in a later post once it’s blocked & given to its recipient.